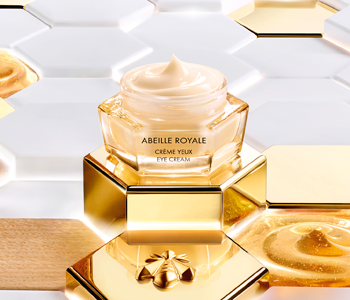 Discover the GUERLAIN Eye and Lip Care collection, a range of advanced formulations that are highly efficacious and suitable for use on the most delicate parts of your face. If your eyes are feeling puffy, or your lips are in need of replenishment, choose from a targeted range of formulas that have been created to diminish signs of anti-ageing, dryness, and fatigue. Whether you’re looking for a melting lip balm, or a wrinkle-reducing eye cream, GUERLAIN’s collection of lip and eye treatments is stamped with innovative excellence and will provide impeccable results.